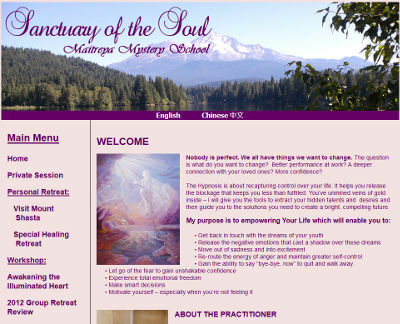 Fei, the owner of Sanctuary of the Soul, contacted us on Sunday needing to have a very quick change done to her website. Upon getting the information and the change she requested, we had it done within ten minutes of receiving the request. We work quickly to ensure our customers are fully satisfied with our responsiveness. Fei noted that she was very pleased with the fast website assistance that she received and may have us re-design her website in the coming months. Thank you for the ability to serve your website assistance request, Fei! The Sanctuary of the Soul website is at sanctuaryofthesoul.net.